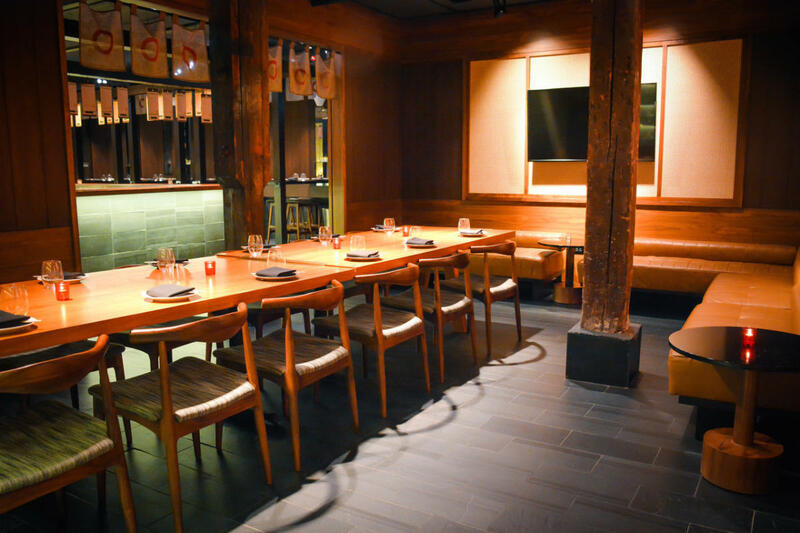 The Boardroom is Momotaro’s private dining room located on the second floor of the establishment, with floor-to-ceiling factory windows overlooking the main dining room bar. A large wood table spans the center of the room, seating up to 22 guests for a seated dinner and up to 30 for a reception-style event. Additional amenities include elevator entry, A/V capabilities, dedicated coat room and private washrooms. 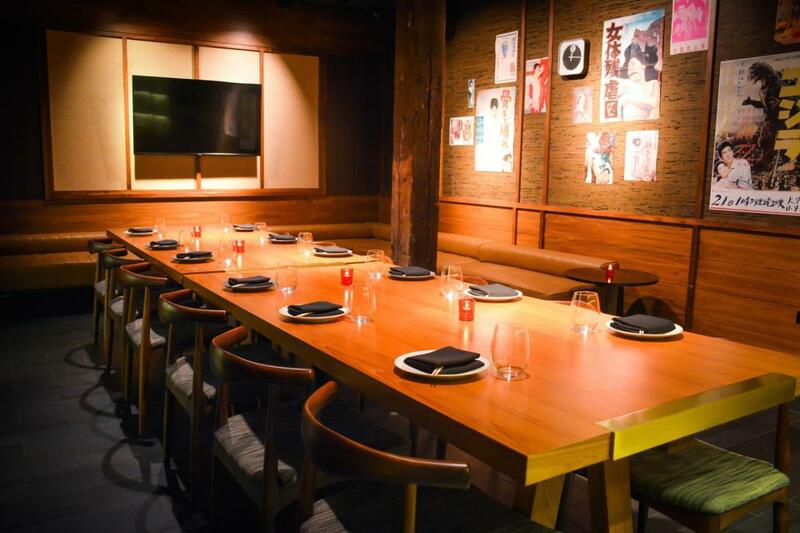 An additional private dining room, the Izakaya Room, is available for a private dinner up to 14 guests or reception style events up to 20 guests.